You’ve probably heard that your email subscriber list is one of the most valuable tools you have as a business. Yet if you’re like most small business owners we know, your list is probably less than 1,000 subscribers and includes people from your contact list who never actually asked to be added to your email list. We’re not going to debate whether or not small business email marketing is valuable. Forbes did that for us when they stated in a recent article that email marketing has an average ROI of $38 per dollar spent on email marketing, with a conversion rate that is higher than both social media and search campaigns combined. So having an active, growing email list is invaluable to any business, and the best way to build your email list is through landing pages with free giveaways. But not every landing page will bring the results you seek. If you are looking to build your list, here are a few landing page tips to help you convert more visitors. Your landing page is essentially an advertisement for whatever you are giving away, so make it as compelling as possible – starting with the title. People love images. They need something to capture their attention to help them visualize what they will receive. A landing page without an image is a severe oversight and your conversion rate will be markedly lower without one. However, just putting up any image will not automatically increase your conversion rate, it has to be a quality image. Ideally, include an image on your landing page that is a representation of what you are giving away, and make sure the image is high quality or people may believe they will get a low quality product in return. Need a little help with your visuals? Contact us today for a free quote. Even though you are giving something away for free, people still need to be convinced why they should give you their information. However, your audience doesn’t want to be overwhelmed with information either. In general, two to five sentences should be enough to describe what you are giving away. Remember, this is where you convince someone that what you are offering is worth it. Make your content concise, punchy and informative without being boring. Here is an example of a good landing page. The eye naturally goes to bullets and subheads so include 3-4 bullets after your description about what your audience will receive if they fill out the signup box. Organize it in such a way that if someone was skimming your page their eye would immediately notice the most valuable, important pieces of information. Remember to focus on benefits, not features. For example, if we were promoting a landing page builder we could say “This tool can help you create landing pages,” but a better way to say it would be to focus on the benefit to the user, “This tool will help you increase your email list”. Make sense? Obviously you cannot capture information from visitors if you don’t include a signup box on your landing page. Once you do, make sure you give people what they requested immediately after they fill out the signup box. It only takes a few seconds for a prospect to become irritated if they do not receive what they requested right away. As a best practice, set your signup box to redirect to a thank you page that includes a direct link to the information you promised. Your thank you page is also the perfect opportunity to give your audience a secondary offer, either to work with you, to look at something specific on your website, or to encourage them to access another piece of free content. What you offer on your thank you page should come after the information your originally promised and should lead them to a natural next step to bring them closer to becoming a paying customer. 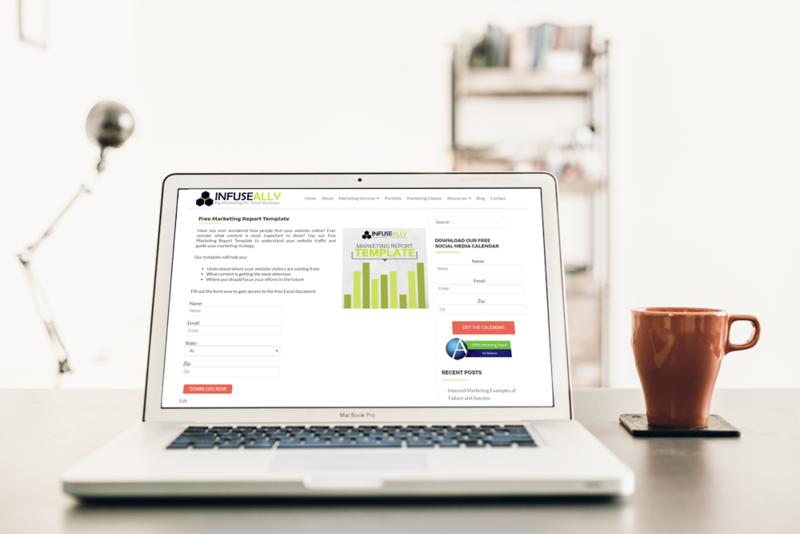 For help developing a strategy to lead sign ups to a purchase, contact us today. When someone downloads a piece of free content on your site you should also send them an automated email with a link to the same information so they can use it as a reference in the future. They may need to access the information again in the future and you want to make it as easy as possible while reminding them who they have to thank for that information. Ideally, your landing page should funnel submissions into a group within your Customer Relationship Management (CRM) system. Prior to promoting your landing page you should create a drip email campaign that will go out to all sign ups in the days and weeks following the submission. Again, this is your opportunity to lead people further down your funnel toward making a sale, so you can include special offers, additional valuable information and coupons to try out your product or services at a discount. Whatever information you include in these emails should be 90% valuable and 10% promotional. Prove your value and build the relationship before asking for a sale. You can never have too many free offers and landing pages associated with them. The more you create, the more you have to promote and the bigger you can build your email list, faster. Have a mix of offers that target your audience during different levels of the sales funnel. These landing page tips have hopefully helped you understand what you need on your landing pages to be successful. There are many programs you can use to create landing pages for your website, so make sure you are choosing the right one for you. Contact us today for guidance on choosing the right platform. Are you doing everything right? 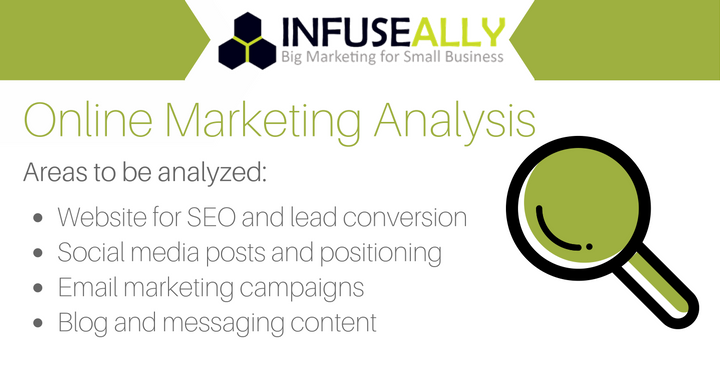 Request an Online Marketing Analysis to learn what you are doing right with your marketing and areas where you can improve. This entry was posted in Content Marketing, Marketing Strategy and tagged content marketing, inbound marketing, inbound marketing strategy, marketing strategy. Bookmark the permalink.